Updates — Western Automation Inc.
LoPro linear actuators are an actuated linear motion system based upon proven DualVee guide wheel technology for smooth and quiet motion over long lengths. 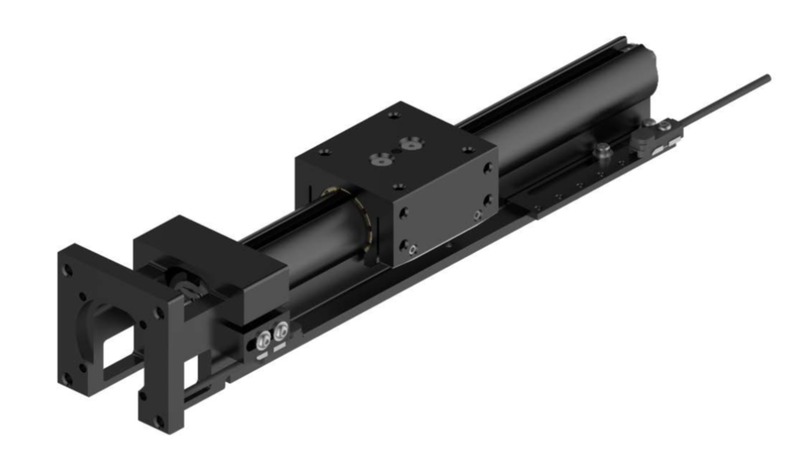 Actuation options include AT series belt, ANSI roller chain, lead screw, and ball screw. LoPro linear actuators are also available in a non-actuated version. LoPro linear actuators provide a tough, cost effective, low friction, low profile modular solution, built to withstand a wide range of operating environments. Complete systems include your preference of wiper or basic wheel plates, and may be mounted or un-mounted. Support beams are available in aluminum or steel to meet application demands and to provide ease of installation. A wide variety of gantry brackets are available to form complete LoPro gantry systems. Select Undriven and Belt-Driven LoPro Products now available as part of the QuickShip Program. BWC’s entry level actuator has been reimagined and designed with the end user's time and ease in mind. Featuring an elegant and simplified single piece base extrusion that allows for both easy and flexible mounting as well as internal slots for cable routing, SlickStick can just as easily be used in a DIY home project as it can be used for a dusty machine. Don't struggle with any of the typical challenges that come with buying an actuator.